You may just recognize Brittany from a previous wedding blog post last summer. Brittany is sister to Matt, and was Shelby's bridesmaid in the Shelby + Matt blog. Shortly after Matt and Shelby's wedding, Blake asked Brittany to marry him and they quickly got to work on planning their wedding day. 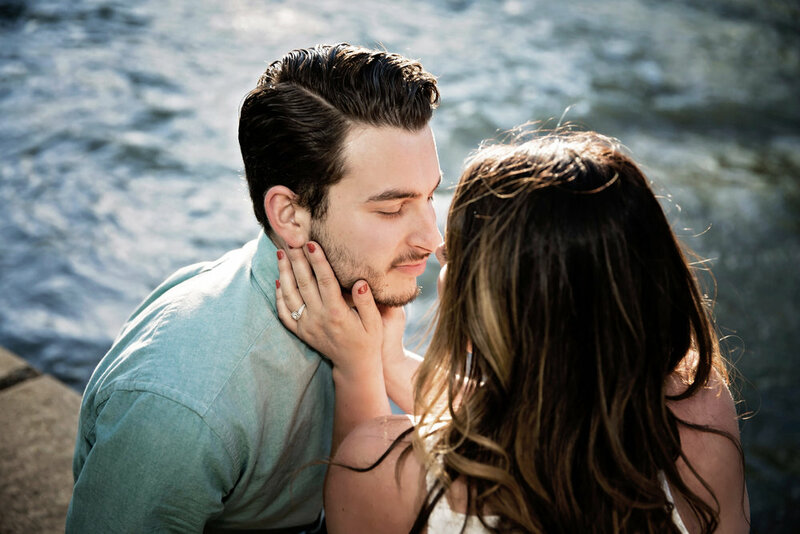 Brittany reached out to me and after such a fun consultation with her and her friend Elizabeth, we scheduled her engagement session with Blake. 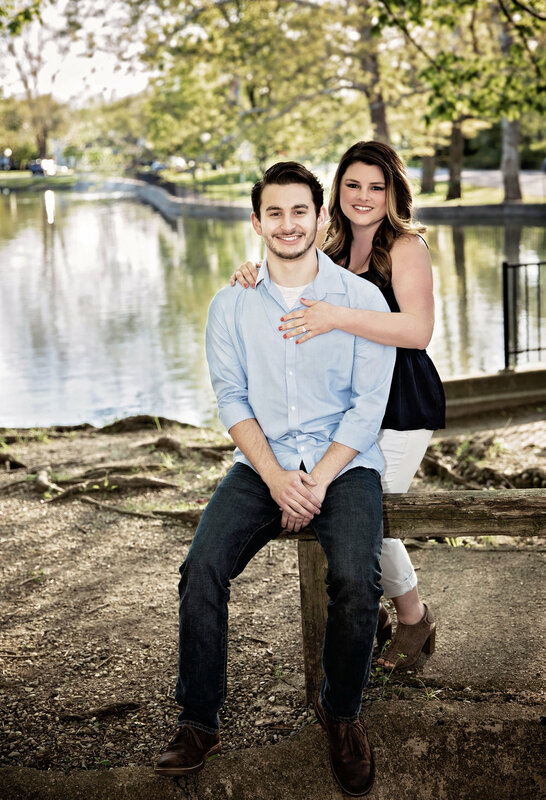 Brittany and Blake chose Falls Park in Pendleton, Indiana for their engagement shoot location. Falls Park is a local gem. With waterfalls, beautiful rocks, bridges, creeks, and trails you can have a lot of versatility in just one session. Brittany and Blake have chosen to have their wedding on September 2, 2017 at Barn at Bay Horse Inn in Greenwood, IN. This wedding will be full of rustic elegant charm and an event you do not want to miss! Check back to see it all come together in their featured wedding blog. 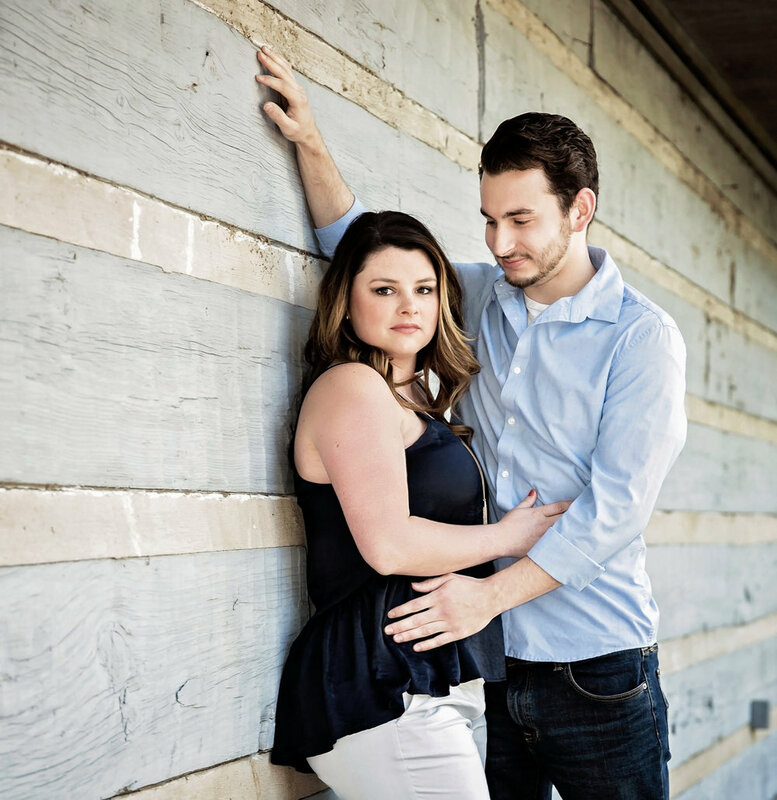 Until then, check out how stunning they are in their engagement session below.